The secret's out — cleansing waters are booming to popularity all over the country. Those ultra-chic French women (you know, the gorgeous ones who seem to dine on wine and bread all day and never gain an ounce?) have been hip to cleansing waters for a long while now. But the secret's out — cleansing waters are becoming more and more popular in the states (even celebrity beauty experts swear by them). But what exactly is a cleansing water, anyway? It's not a toner nor a traditional facial wash, instead it's a detergent-free liquid you can use to purify your skin of dirt, oil and makeup. It makes cleaning your face a breeze and leaves your skin feeling soft, hydrated and fresh. But while gentle, these "waters" are far more than what comes from your tap. The solution is full of microscopic micelles that work as the key cleansing property. "Micelles are basically tiny little molecular balls that eat up dirt and oils. The outside of the ball loves to mingle with water and the inside of the ball loves to mingle with dirt and oils," Dr. Julia Tzu of Wall Street Dermatology explained to TODAY.com. "When cleansing water comes in contact with dirt and oils, the micelles encase or 'eat up' the dirt and oils." Translation: You no longer need to rinse. Simply apply the cleansing water to a cotton pad, wipe across your skin and you're done. It really is that easy, says Tzu. And micellar waters are recommended for all skin types, while people with sensitive, dry or acne-prone skin may find them especially beneficial. Depending on your personal preference, you can use these cleaners once or twice a day. For example, if you like to wash your face with a traditional cleanser at night, you can do a quick swipe of micellar cleanser in the morning to moisturize. 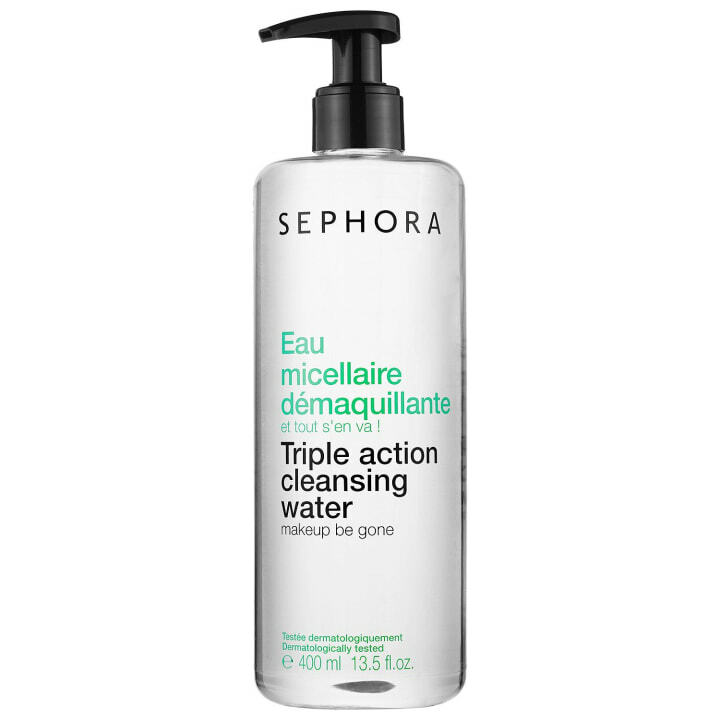 Or, for fellow lazy girls, a micellar cleansing water can be a perfect solution for easily removing your makeup at night. You could even take a small bottle with you on a long flight to use as a mid-air refresher that'll wake up your skin. We've gathered five all-star cleansing waters to fit different skin types and budgets. Find the one that works for you! 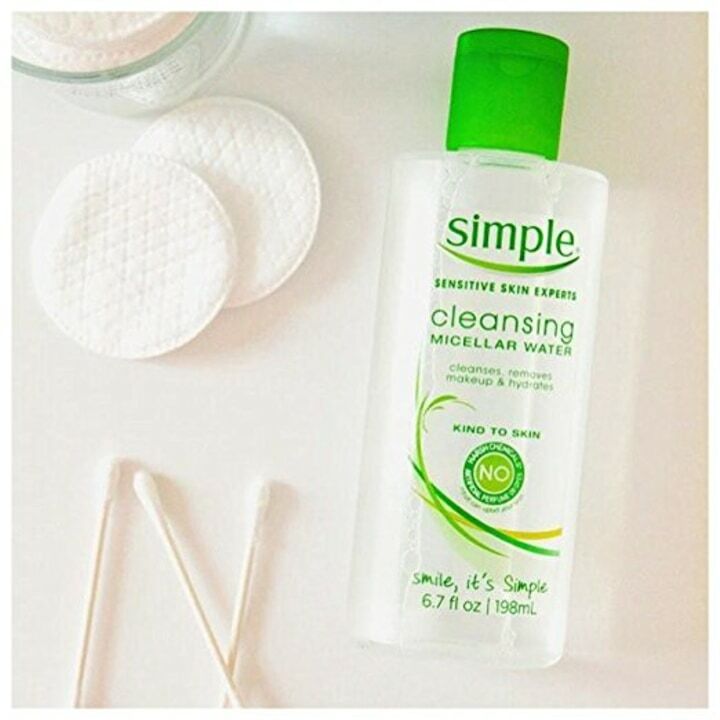 Simple Skincare Micellar Cleansing Water contains a blend of gentle cleansers, multi-vitamins and skin-loving ingredients to cleanse the skin while removing makeup. The water within it goes through a triple-purification process to help remove contaminants known to irritate skin. Readers also love this Garnier miscellar water for $6 on Amazon. 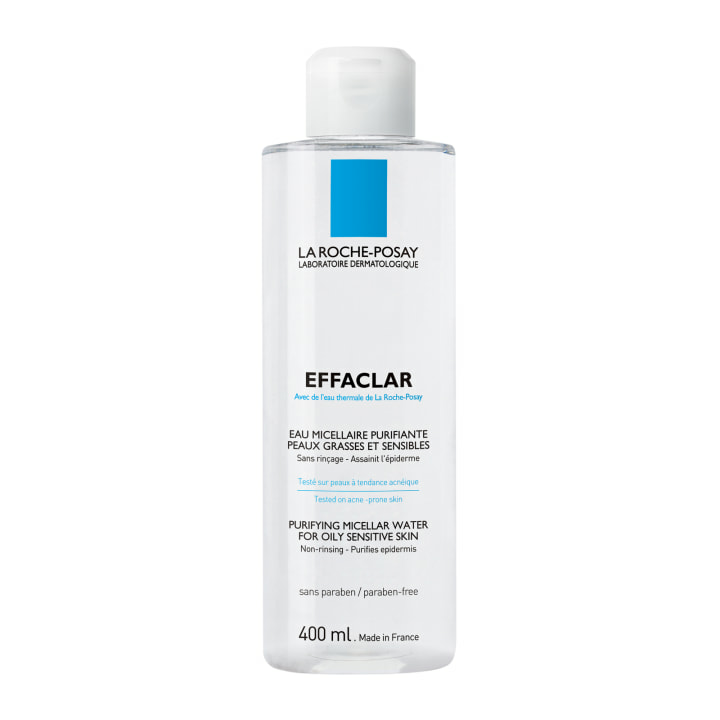 Made with the famous La Roche-Posay thermal waters, this ultra-gentle micellar water is widely available in the UK, but you can also find it on Amazon. People also rave about the Bioderma miscellar water for sensitive skin which is also $14 on Amazon. This option is formulated with the addition of HydroSenn+, a natural ingredient that is said to beat hyaluronic acid when it comes to delivering immediate and long-lasting hydration. Plus, it comes with a handy pump top. All micellar waters remove makeup, but some aren't quite strong enough if you're looking to take off, say, a heavier amount of mascara. 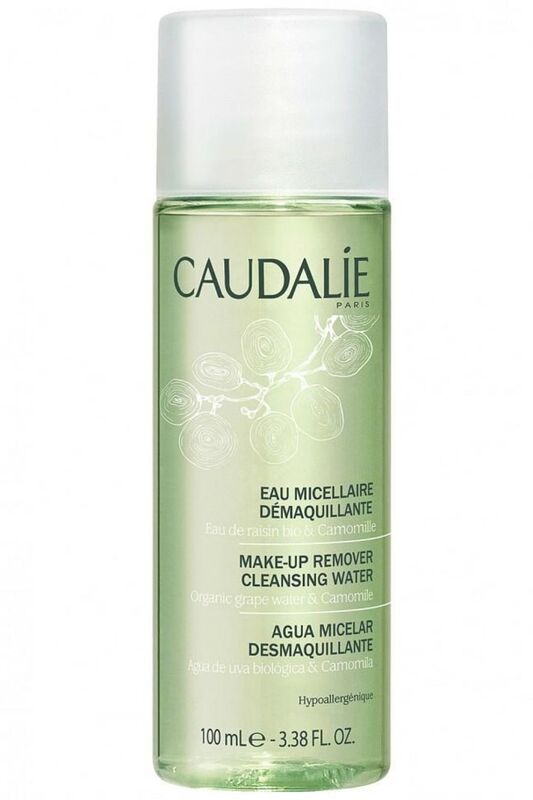 This option from Caudalie is still super gentle on your skin, but will effectively battle your date-night eyeliner. And, with orange and lemon blossom, watermelon and mint leaves in the formula, it smells amazing! Darphin's skincare line is filled with exquisite products, and their micellar water is no exception. Made with 94 percent botanical, natural-origin ingredients — like Neroli Essential Oil and Bisabolol (a plant oil that's also a natural alcohol) — this is a soothing product that will calm sensitive and easily-irritated skin. For more of our drugstore beauty advice, check out our round-ups of anti-aging products, moisturizers and products for curly hair. This article was originally published in March 2015 and has been updated.